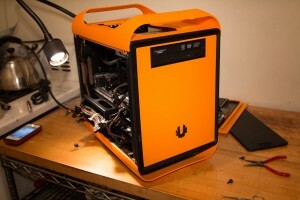 Its no secret, Mac’s are more expensive then PC’s in almost every case. While there are several reasons for this, I want to exploit the fact that this rule does have an exception. I would like to introduce you to the robust community of the Hackintosh, and its homepage . They have created a great collection of tips, tricks and information that will allow most avid computer users take advantage of this interesting loophole. and a smaller 1 minute version. This system has a dual UEFI which will enable us to easily dual boot both Windows and Mac. I will put the parts list in the next post….